Outstanding tools to promote your event! This package includes: 10 LEARN 4 Keys to Hearing God’s Voice Notebooks; 50 “4 Keys” hand-out cards; 1 Teacher’s Guide, plus a CD-ROM packed with promotional items and a teaching PowerPoint with 200+ slides. This kit has everything you need for group facilitation! Only $40 (Retail Value $203) Savings of $163! Spread the Fire of God! Open your home and expose your friends to training on how to hear God's voice. 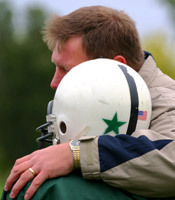 Let Dr. Virkler do the training by DVD, and you simply host your friends by sharing your home and your love. The heart of revival is intimacy with the Holy Spirit. Be a spark that helps transform your nation! Get involved. Make a difference. If not you, then who? Lord, let revival come through me! Customizable and printable flyers, bulletin inserts, posters (8.5 x 11 and 11 x 17), email blast articles, 2-minute and 8-minute video promos; photo and bio of Mark Virkler, sign-up sheets, Certificates of Completion with CEUs, "You Can Hear God’s Voice" tract and "Overcoming Blocks and Hindrances to Hearing God’s Voice" tract, plus the complete PowerPoint presentation (200+ slides) for teachers. Click here to download the promotional material. Also Included on the CD-ROM Are the Following Discount Coupons! Get your group leader bonus resources today! 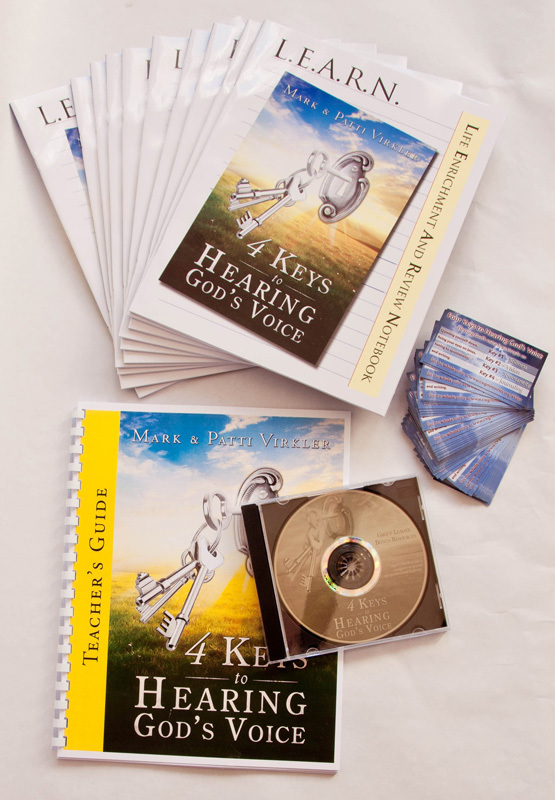 This package gives you excellent advertising and promotional tools which will help ensure the success of your upcoming training on How to Hear God's Voice. Save money - be prepared - change lives. Order today! Pamela Jones' Testimony: Do you have a desire to walk in closer relationship with God? 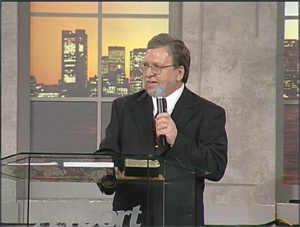 Would you like to hear Him speak directly to you on a daily basis? This was my desire when just over a year ago I attended a home group entitled “How to Hear the Voice of God” led by a couple from my church. I wasn’t quite sure what to expect, and even though I had walked with the Lord since 1972, and had graduated from Bible College, I knew in my heart that God was able to deepen my relationship with Him if I went after that. “I have learned so much and have come so far in my communion with the Lord through journaling that I have even gotten visions from the Lord by entering the throne room! Now that is totally amazing to me and I know that's not all God wants to do. Taking your classes has revolutionized my heart and life so much that I will never be the same and that I will not stay the same today that I was yesterday (I am currently 66). Journaling to "Hear God's Voice" has been one awesome, ongoing, strengthening, going from Glory to Glory IN Jesus experience. I just want to say "THANK YOU" Mark and Patti. My life is more blessed and more fulfilled through what God has given you.